Experts identify 10 seller mistakes that turn off buyers. Dirt, odors, too many personal items make the list. Small fixes can make a big difference in marketing a home. What a difference a couple of years makes. Back in 2007, homebuyers would beg to purchase your house. They would even bid more than the asking price for the privilege to do so. Today … well, not so much. Once the real estate bubble burst and foreclosures poisoned the housing pool, buyers suddenly regained the upper hand. But instead of buying, they’re waiting, convinced that housing prices will continue to drop. Pursuing a short sale is often thought of as a painstaking process, and it’s not uncommon to hear of complaints about slow responses from servicers and last minute rejections on offers. Fortunately, not all lenders/servicers are the same when it comes to dealing with short sales, and RealtyTrac compiled a list of data revealing which institutions tend to move through the process quicker and for less. Fannie Mae, Freddie Mac, and FHA had the shortest timelines at 193 days in January 2012, a decrease compared to a year ago in January 2011, when short sales averaged 248 days. Ally Financial came in second at 321 days, reducing its timeline as well from 393 days a year ago. PNC Financial Group was third, taking 353 days, though the bank takes longer than it did a year ago when the it took 206 days. Wells Fargo came in fourth (385 days). Bank of New York Mellon took the fifth longest (402 days), followed by Bank of America (403 days) and Sun Trust (404 days). The short sale timeline includes the time a property starts the foreclosure process to the time it’s sold as a pre-foreclosure property. Recently, Fannie Mae and Freddie Mac announced new guidelines to take effect in June requiring servicers to respond within 30 days after receiving a short sale offer or a borrower application. 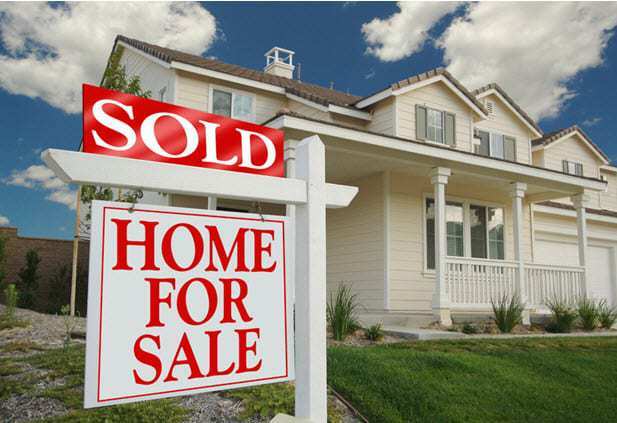 Bank of America recently announced that its providing a decision on a short sale offer in 20 days. In terms of pricing, Fannie Mae, Freddie Mac, and FHA sold homes for the least amount in January 2012, averaging $128,642, a drop from year ago prices in January 2011 when they averaged $160,982. Deutsche Bank’s average price was $132,996, followed by Sun Trust Banks ($144,024), and CitiGroup ($148,411), and PNC Financial Group Inc ($149,332). Bank of America Wells Fargo were the bottom two on the top 10 list, averaging $158,632 and $167,371, respectively, for January 2012. As for the number of short sales, Bank of America completed the most in January 2012, with 5,276, followed by Chase (2,967), Wells Fargo (2,788), MERS (1,429), and Bank of New York Mellon (1,401). Capital Economics expects the housing crisis to end this year, according to a report released Tuesday. One of the reasons: loosening credit. The analytics firm notes the average credit score required to attain a mortgage loan is 700. While this is higher than scores required prior to the crisis, it is constant with requirements one year ago. Additionally, a Fed Senior Loan Officer Survey found credit requirements in the fourth quarter were consistent with the past three quarters. However, other market indicators point not just to a stabilization of mortgage lending standards, but also a loosening of credit availability. Banks are now lending amounts up to 3.5 times borrower earnings. This is up from a low during the crisis of 3.2 times borrower earnings. In contrast to a low of 74 percent reached in mid-2010, banks are now lending at 82 percent LTV. While credit conditions may have loosened slightly, some potential homebuyers are still struggling with credit requirements. In fact, Capital Economics points out that in November 8 percent of contract cancellations were the result of a potential buyer not qualifying for a loan. Additionally, Capital Economics says “any improvement in credit conditions won’t be significant enough to generate actual house price gains,” and potential ramifications from the euro-zone pose a threat to future credit availability. Large commercial real estate deals are already benefiting from changes to South Carolina’s property tax laws approved in 2011, while the impact on second-home sales has been limited. Changes to South Carolina’s property tax laws have given investors more confidence in new commercial developments. Here, Adam Monroe (left) and Ryan Knapp of Middle Street Partners visit the construction site for their 270-apartment complex in Mount Pleasant. “The projects that we have on the drawing board wouldn’t be on the drawing board” if the law hadn’t changed, said John Darby, president of The Beach Co., which has several large projects under way. The tax changes created an exemption for commercial properties, a category that includes second homes, that greatly reduces property tax increases that can kick in when properties change hands. The practice of reassessing a property’s value when there’s a change in ownership, commonly called “point of sale,” has been a thorn in the side of the real estate industry since it began in 2007. “We actually lost a sale last year for some multifamily (property) because of it, when they figured out how the taxes would go up,” said Charles Carmody, managing broker at CB Richard Ellis Carmody in Charleston. Under point of sale, property taxes can soar, cutting into the profits of investors, raising apartment rents and business leases and saddling second-home buyers with unexpected costs. Huge sale-related tax hikes were common when real estate values were rising, leading to the legislation last summer that created large discounts for commercial properties. Under the old rules, if a commercial property on the tax rolls valued at $2 million was sold for $2.5 million, the taxes would jump by roughly an equal amount, or 25 percent. Site preparation work is under way for Middle Street Partners’ 270-unit apartment complex in Mount Pleasant. Under the new rules, that property’s taxes would not change because of the sale, and most commercial deals won’t trigger a tax increase unless the property’s value increased by more than 33 percent. sell your property for was higher,” said Ryan Knapp, a partner at Middle Street Partners on Sullivan’s Island, which develops and invests in real estate. “It’s good for the state, it’s good for jobs and it’s good for the economy in our area. “It played a part in our out-of-state financiers being comfortable,” he said. Middle Street Partners is developing the 270-apartment Cooper River Village project in Mount Pleasant and has invested in projects elsewhere in the state. Darby of The Beach Co. said The Boulevard, a mixed-use project involving new shops and 325 apartments on Coleman Boulevard in Mount Pleasant, would have been unlikely to get financing under the previous tax rules. The firm broke ground on the project Tuesday. Darby said that when large projects are appraised for financing, any large tax increase associated with selling the property in the future would substantially reduce its value. The Beach Co. broke ground last week for construction of The Boulevard, a roughly $40 million mixed-use project on Mount Pleasant’s Coleman Boulevard shown here in a rendering provided by the company. The 370-apartment and business complex may not have been possible, according to The Beach Co., without the changes in property tax regulations approved last year in South Carolina. Elliott Summey, a vice president at The Weiser Companies, said he’s seen the impact of the new law first-hand. With commercial properties such as shopping centers, the previous rules resulted in large tax increases that were passed along to tenants in the form of higher rent, in some cases prompting tenant businesses to move out, he said. years involving a major retailer that plans to open a store in the Charleston region. When the property tax law was changed, a large concern of the retailer was removed in the midst of negotiations, said Summey, who would not name the company involved. “They said, ‘Hey, we want some guarantees about our taxes,’ ” said Summey, who is a member of Charleston County Council. “That discussion went away because of the point-of-sale changes. How did the tax law change? Under the old rules created by Act 388, the South Carolina Real Property Valuation Reform Act of 2006, properties in South Carolina are reassessed when there is an “assessable transfer of interest,” which is usually a change in ownership due to a sale. This is known as a point-of-sale reassessment, and it can cause large increases in property tax bills. The discounted assessment cannot be lower than the assessment prior to the sale or transfer. The way the math works out, a property’s value would have to gain more than 33 percent to trigger a tax increase related to a sale. For example, if a $1 million property were sold for up to $1.33 million, and then the new value was discounted by the 25 percent exemption, the assessment would go back down to $1 million. Berkeley, Charleston and Dorchester counties all recently conducted reassessments that used property values from the end of 2008. In most cases, property values are lower today than they were at the end of 2008, so point-of-sale assessments and relief from point of sale has played a muted role in the market for existing second homes. Salvo was among local real estate professionals who pushed hard for the General Assembly to change the law. He and others in the industry had been upset about reassessments since 2007, when the practice began as part of the statewide Act 388. The law created point-of-sale reassessments while slashing property taxes on owner-occupied homes and raising South Carolina’s sales tax. When real estate prices were rising fast, the policy meant big tax increases for some. “It’s certainly not such a big issue now,” Salvo said. Real estate industry associations continue to push for the state to reduce property taxes on commercial properties. “Point-of-sale certainly created a hindrance to real estate transactions, and what they did last year helped, but it needed to go further,” said Charleston real estate investor Christopher Price of The PrimeSouth Group. This year, the state House is considering a bill that calls for reducing the tax rate on commercial properties. “The impact of the point of sale reform has yet to be fully realized in South Carolina, but it was the first step in an ongoing tax reform process that will continue to make South Carolina and Charleston in particular an increasingly favorable environment for individuals, corporations and investors,” said Meghan Weinreich of the Charleston Trident Association of Realtors. Reach David Slade at 937-5552 and on Twitter at @DSladeNews. Realtors specializing in resort and second home communities have reason to be optimistic in the coming year, according to an economist with the National Association of Realtors. Lawrence Yun, chief economist with NAR, said that equipping Realtors with good data is critical in helping potential homebuyers understand what’s going on in the economy. If Realtors can communicate the data, the public perception of what home values will do in the future will help fuel the upswing, he said at the National Association of Realtors Resort and Second Home Symposium on Kiawah Island. Increasing rent prices, job creation and a stabilizing stock market were among the national factors Yun suggested were driving the overall rebound of the housing market. For the Realtors specializing in second-home markets, the downturn was especially rough, Yun said. But historically, that market swings more violently than the overall housing market — setting those Realtors up for big gains once the market turns. Yun said traditional resort markets are seeing inventory shrink to two-month levels — and driving prices back up. The Charleston-area resort market offers destination communities including Kiawah Island and other beach and waterfront communities. But Charleston isn’t yet considered a traditional resort community. Historically low mortgage rates also are set to rise, based on the data Yun has been receiving. International business coming to the Charleston area by way of Boeing or shipping through the port is also likely to contribute to an increase in second-home purchases, according to Yun. George Harvey, resort and second home chairman for NAR, agreed. He said many second-home buyers start out as repeat vacationers before venturing into the real estate market. Vacationing provides an easy entry point into a community, Harvey said. “After a five- to 10-year period, they may sell their primary residences and move permanently to their vacation homes,” he said. Another factor stressed as a reason to be optimistic is the graying of the population. Yun said that demographic and economic indicators are suggesting that more people are of both the age and wealth status to fall into the second-home population. Harvey agreed, adding that baby boomer wealth in some cases is coming not only from their own efforts but as an inheritance from their parents. The rebounding of the stock market helps the boomer generation recover wealth they’d invested. Harvey added that investing in a vacation home may not be entirely for personal pleasure, as many boomers aren’t retiring completely, but instead transitioning to part-time work. Real estate is viewed as a personal expense, but also an investment for the future, he said. Oprah Winfrey sold her New York City penthouse for $7.9 million in less than a week, with buyers starting to line up as soon as the property hit the market on Feb. 22, according to media reports. A British financier, whose name has not been disclosed, made an offer right away and will close on the penthouse next month. Winfrey purchased the penthouse in 2008 for $7.1 million in the name of her late cocker spaniel. The 26th floor unit is 2,530 square feet and has three bedrooms and includes a 768 square foot balcony, a master suite with three walk-in closets, and views that extend from New York’s Central Park to the Hudson River. Oprah reportedly never lived in the penthouse, but her friend Gayle King had occupied it. February existing-home sales declined from an upwardly revised January pace but are well above a year ago, while the median price posted a slight gain, according to the National Association of REALTORS®. Sales were up in the Midwest and South, offset by declines in the Northeast and West. Total existing-home sales, which are completed transactions that include single-family homes, townhomes, condominiums, and co-ops, slipped 0.9 percent to a seasonally adjusted annual rate of 4.59 million in February from an upwardly revised 4.63 million in January, but are 8.8 percent higher than the 4.22 million-unit level in February 2011. According to Freddie Mac, the national average commitment rate for a 30-year, conventional, fixed-rate mortgage was a record low 3.89 percent in February, down from 3.92 percent in January; the rate was 4.95 percent in February 2011; recordkeeping began in 1971. The national median existing-home price for all housing types was $156,600 in February, up 0.3 percent from February 2011. Distressed homes – foreclosures and short sales sold at deep discounts – accounted for 34 percent of February sales (20 percent were foreclosures and 14 percent were short sales), down from 35 percent in January and 39 percent in February 2011. Total housing inventory at the end of February rose 4.3 percent to 2.43 million existing homes available for sale, which represents a 6.4-month supply at the current sales pace, up from a 6.0-month supply in January. Even so, unsold listed inventory has trended down from a record 4.04 million in July 2007, and is 19.3 percent below a year ago. “Falling visible and shadow inventory, combined with a dearth of new-home and apartment construction during the past three years, assure that rents will continue to rise, with likely home price increases in 2012,” Yun said. Fifty-one percent of NAR members report that contracts settled on time in February, 18 percent had delays, and 31 percent experienced contract failures; the cancellation rate was 33 percent in January and 9 percent in February 2011. Contract failures are commonly caused by declined mortgage applications and failures in loan underwriting from appraisals coming in below the negotiated price. “Many buyers are staying in the market after experiencing a contract failure and making an offer on another property, showing their determination to take advantage of the favorable conditions, but the cancellations are contributing to an uneven sales pattern,” Yun said. All-cash sales rose to 33 percent of transactions in February from 31 percent in January; they were 33 percent in February 2011. Investors account for the bulk of cash transactions. Investors purchased 23 percent of homes in February, unchanged from January; they were 20 percent in February 2011. First-time buyers accounted for 32 percent of transactions in February, down from 33 percent in January and 34 percent in February 2011. Single-family home sales declined 1.0 percent to a seasonally adjusted annual rate of 4.06 million in February from 4.10 million in January, but are 9.4 percent higher than the 3.71 million-unit level a year ago. The median existing single-family home price was $157,100 in February, which is 0.1 percent above February 2011. Existing condominium and co-op sales were unchanged at a seasonally adjusted annual rate of 530,000 in February and are 3.9 percent above the 510,000-unit pace in February 2011. The median existing condo price was $153,000 in February, up 1.6 percent from a year ago. Regionally, existing-home sales in the Northeast fell 3.3 percent to an annual level of 580,000 in February but are 5.5 percent above a year ago. The median price in the Northeast was $225,800, down 1.9 percent from February 2011. Existing-home sales in the Midwest rose 1.0 percent in February to a pace of 1.02 million and are 13.3 percent higher than February 2011. The median price in the Midwest was $120,500, which is 0.5 percent below a year ago. In the South, existing-home sales increased 0.6 percent to an annual level of 1.77 million in February and are 9.3 percent higher than a year ago. The median price in the South was $138,100, up 1.8 percent from February 2011. Existing-home sales in the West declined 3.2 percent to an annual pace of 1.22 million in February but are 6.1 percent above February 2011. The median price in the West was $195,300, up 3.1 percent from a year ago.